Lacazette, from a superb Ghezzal ball through the middle, had the first chance of the match but dragged his shot just wide. Left-footed Ghezzal then broke down the right and his curling shot forced a parry from Lecomte… who also denied Darder's effort shortly afterwards. 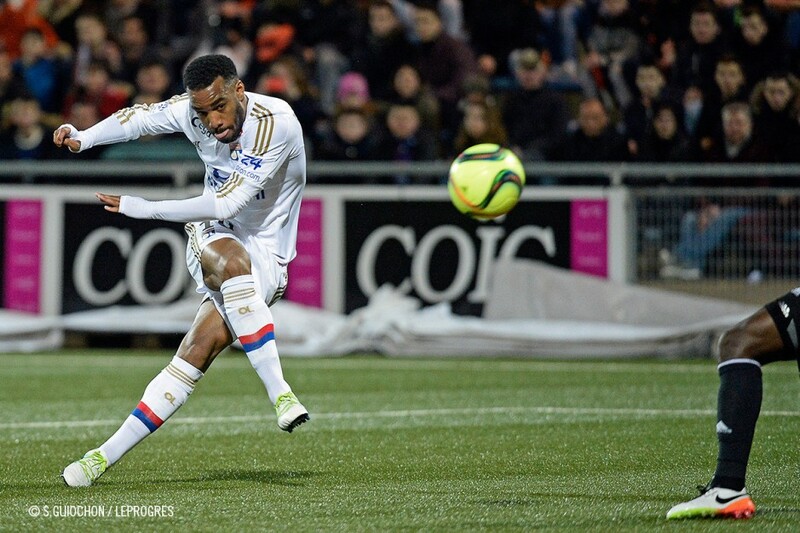 There were chances at both ends, with Waris and Tolisso both firing wide. 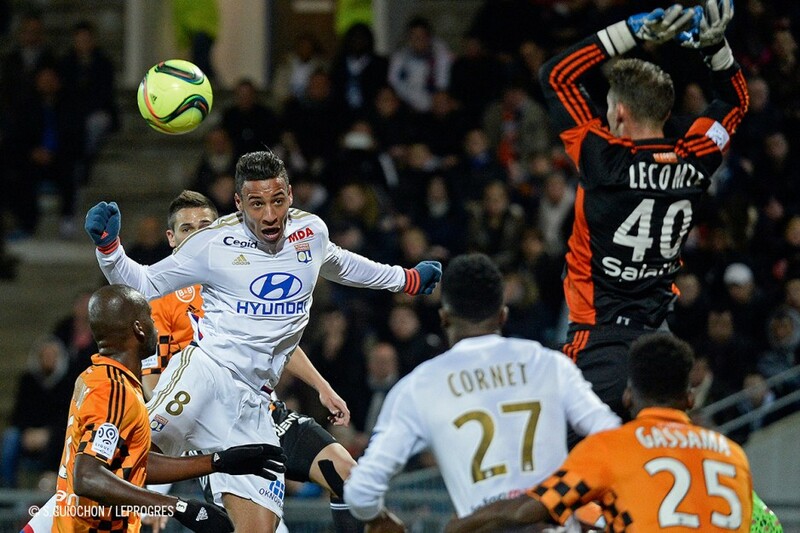 Even though Lyon had made the better start and carved out the better chances, they struggled to contain Lorient on the counter and were duly punished after losing possession. Mesloub picked out Barthelmé with a defence-splitting pass and the midfielder squared the ball past Lopes for the waiting Waris to tap home into the empty net (36'). But then OL returned the favour, also on the counter. 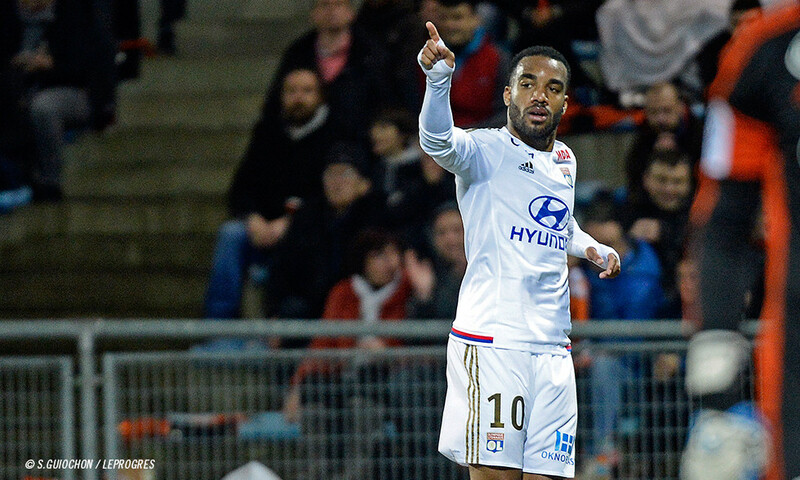 Ferri beat the home defence for pace and and crossed for Lacazette, who showed all the composure in the world as he slammed a half-volley across Lecomte and home (44'). It was a deserved equaliser for OL just before the break in a first half that Lyon had dominated despite exposing themselves to quick-fire counters. Morel pulled off an amazing last-ditch tackle to deny Jeannot access to an open goal. Lorient dominated the chances early in the second half as Ghezzal and Tolisso both failed to hit the target, with Lecomte stepping up and saving when the former tried to curl one into the top left-hand corner. Morel, lightly injured, was replaced by Bedimo. Lopes pulled out another strong save, this time denying recent substitute Cabot. With 15 minutes left, the match was poised on a knife edge, and it was Ghezzal who made the difference, thanks to a superb pass from fit-again substitute Valbuena. The elegant striker cut inside onto his left foot and curled one in… at the near post (80'). 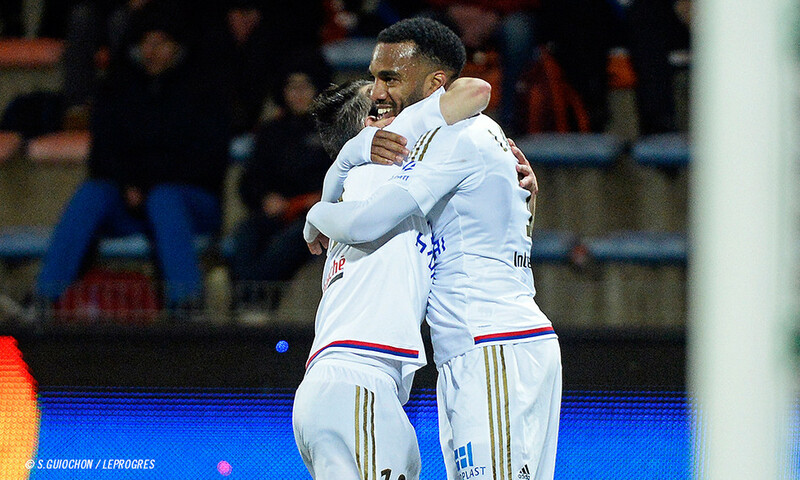 Darder went within inches of adding another minutes later, but in the end it was Lacazette who scored the club's third, latching onto Ghezzal's neat little pass into the area, rounding Lecomte and firing into the roof of the net from close range to complete his double (84'). Lyon largely dominated the match, especially in terms of the number of clear-cut chances created. Even though they were at time caught out with counters and quick-fire attacks, they controlled the match and managed to accelerate and pull away in the second half. 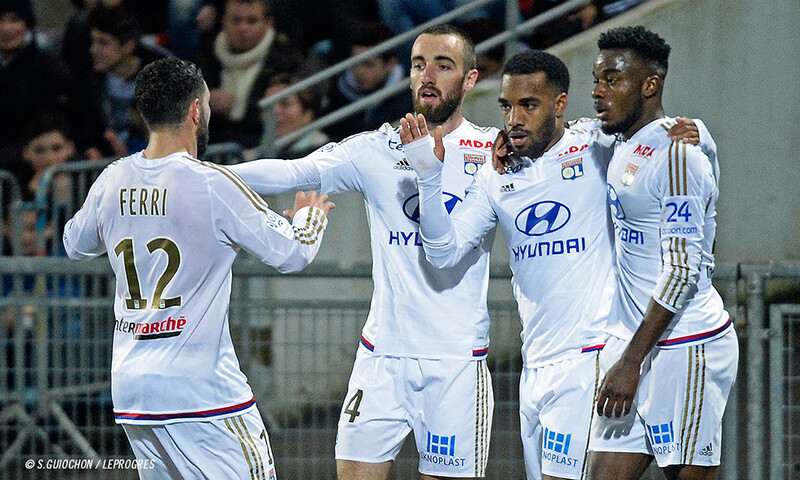 The three precious points send OL back into the top three, just three points shy of Monaco. FCL: Lecomte - Gassama, Touré, Musavu-King, Guerreiro - Bellugou, Mesloub, Jouffre (cap.) 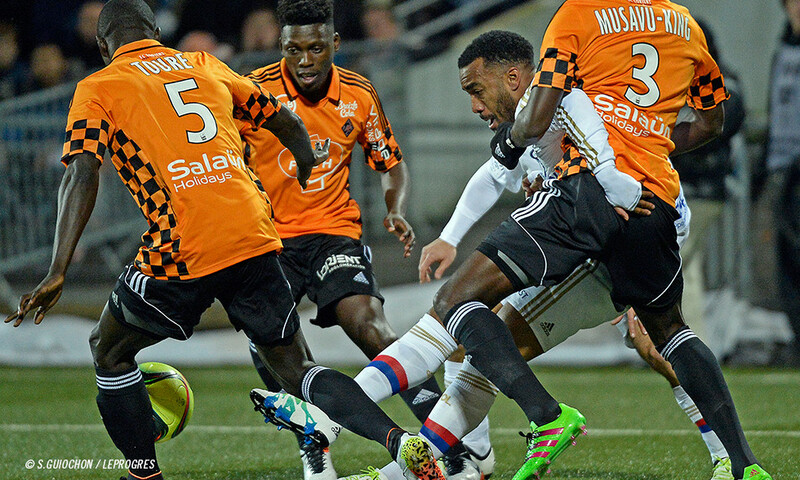 (Philippoteaux 82’), Barthelmé (Cabot 69’) - Waris, Jeannot (Moukandjo 76’). Coach: S. Ripoll. OL: Lopes - Jallet, Yanga-Mbiwa, Umtiti (cap. ), Morel (Bedimo 67’) - Tolisso, Darder (Grenier 85’), Ferri - Ghezzal, Lacazette, Cornet (Valbuena 76’). Coach: B. Genesio.